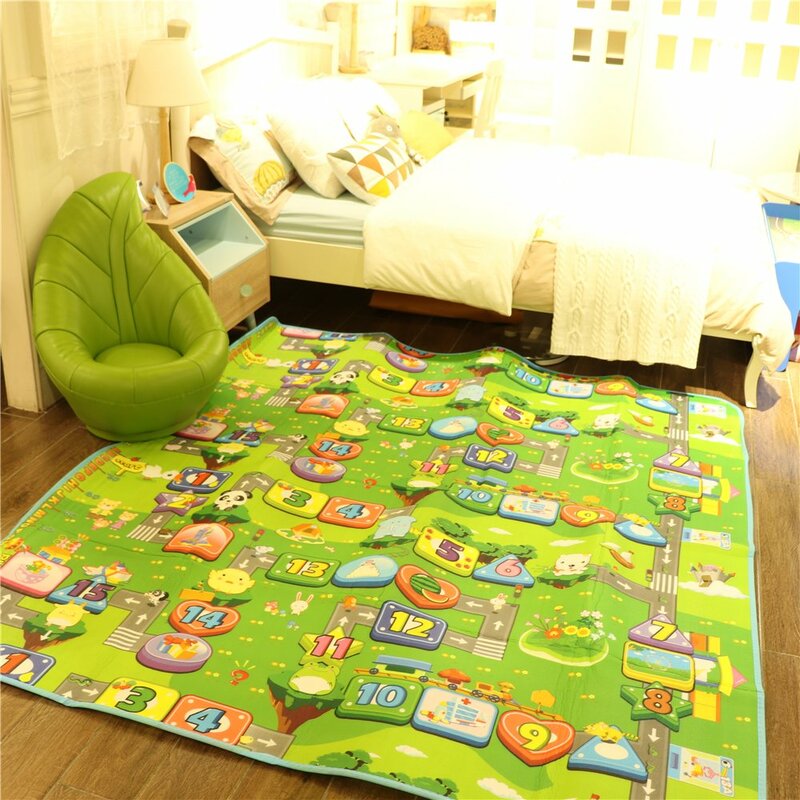 Fani Play Mat provides a safe and hygienic place for babies and children to play. 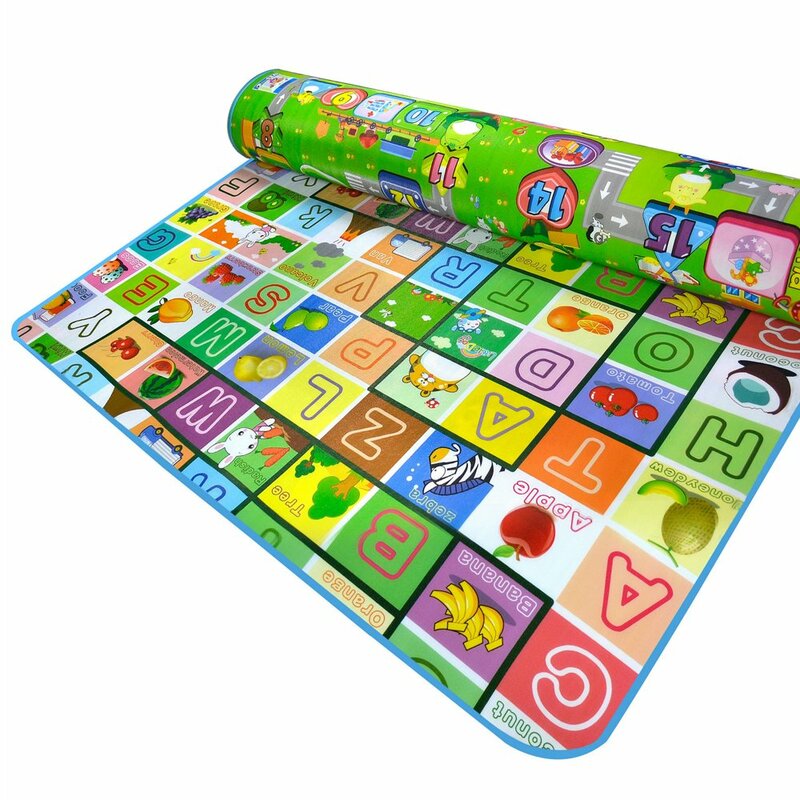 The cushioned mat protects against hard falls when kids crawl, tumble, and topple over when learning to sit and stand. 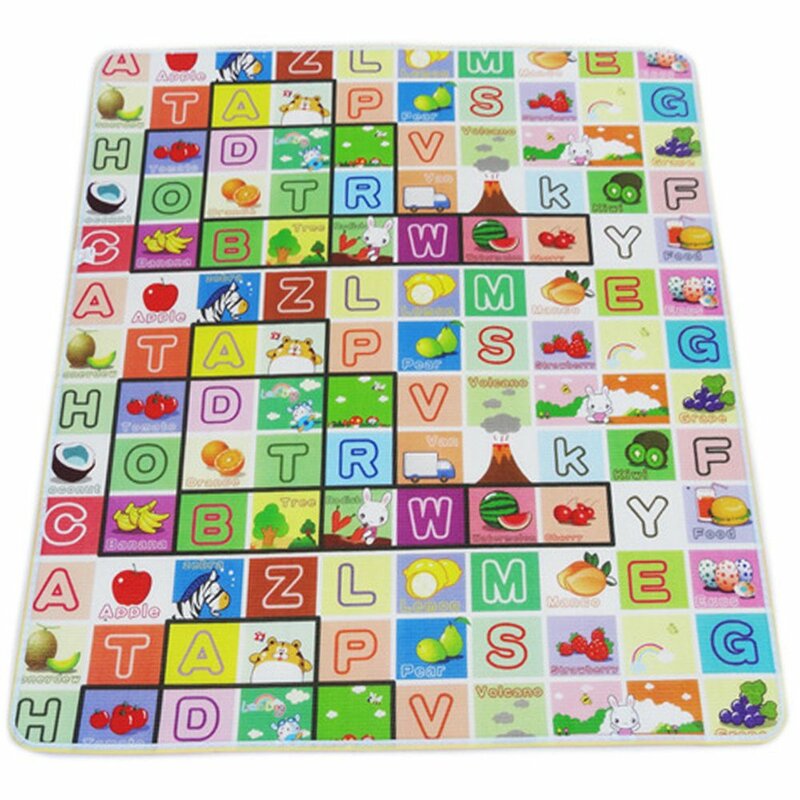 Kids of all ages love the vibrant colors, and in no time they are identifying Numbers, Alphabet and Images from the pictures on the mats. 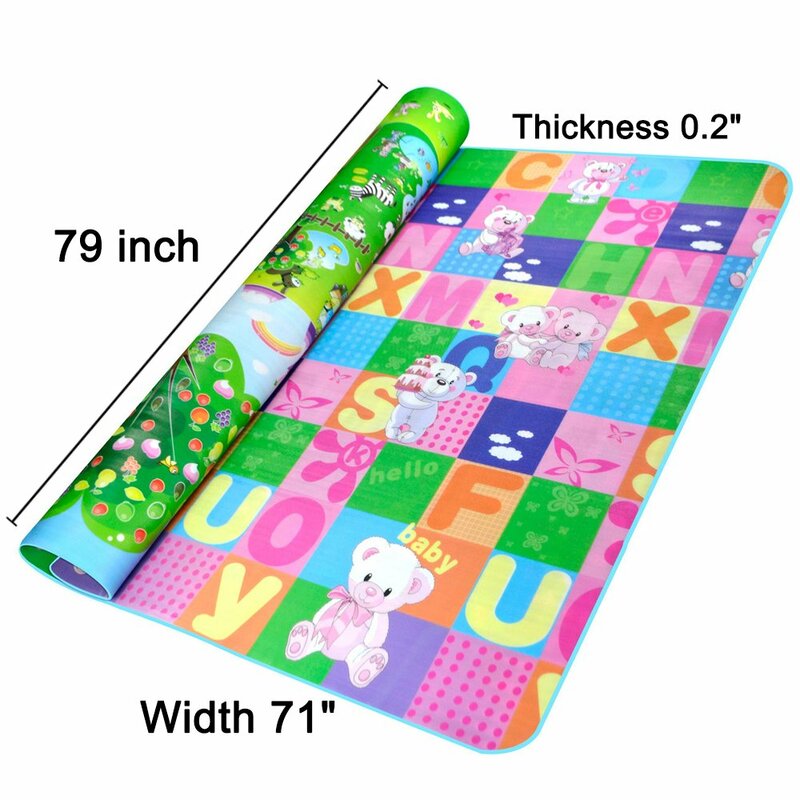 1.There will be creases in the mat due to folding for postage because this mat is large in size. 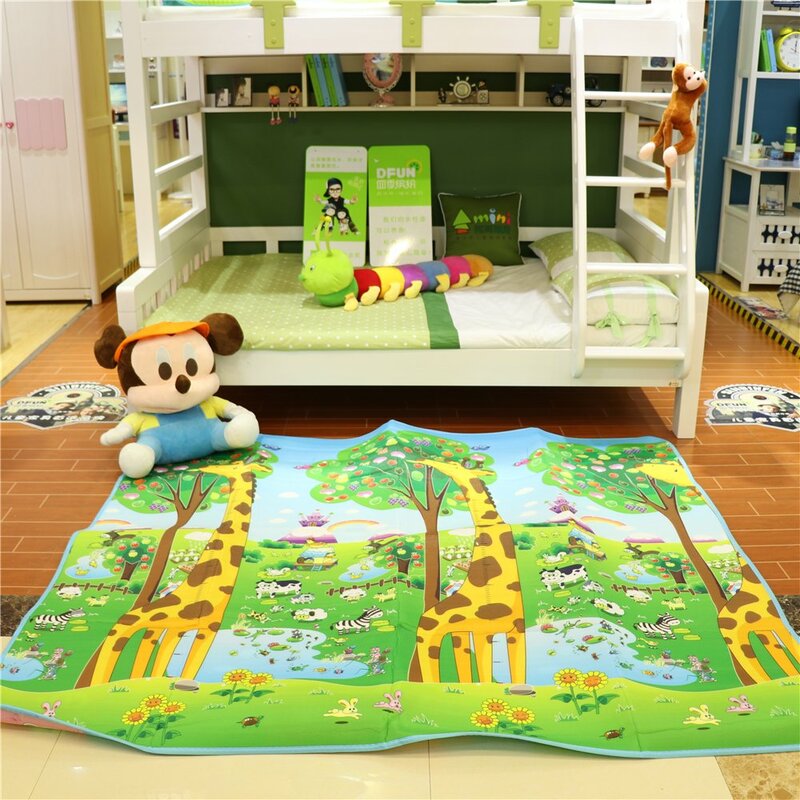 To minimise those creases we recommends our customers to fold the mat as roll and keep it for at least 24hrs to bring it back in shape. 2. If you have any problems or doubt, please contact us by email, we will be very happy to serve you with our satisfying after-service, thanks for your support and understanding,dear. 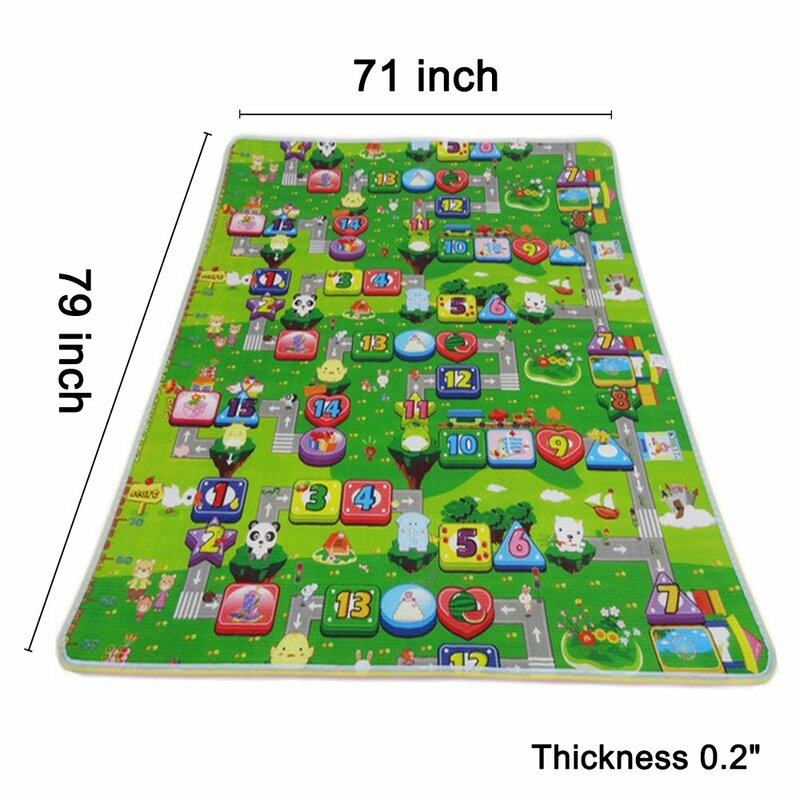 I Love this mat so much . So many different pictures and thing to look at. LARGE. 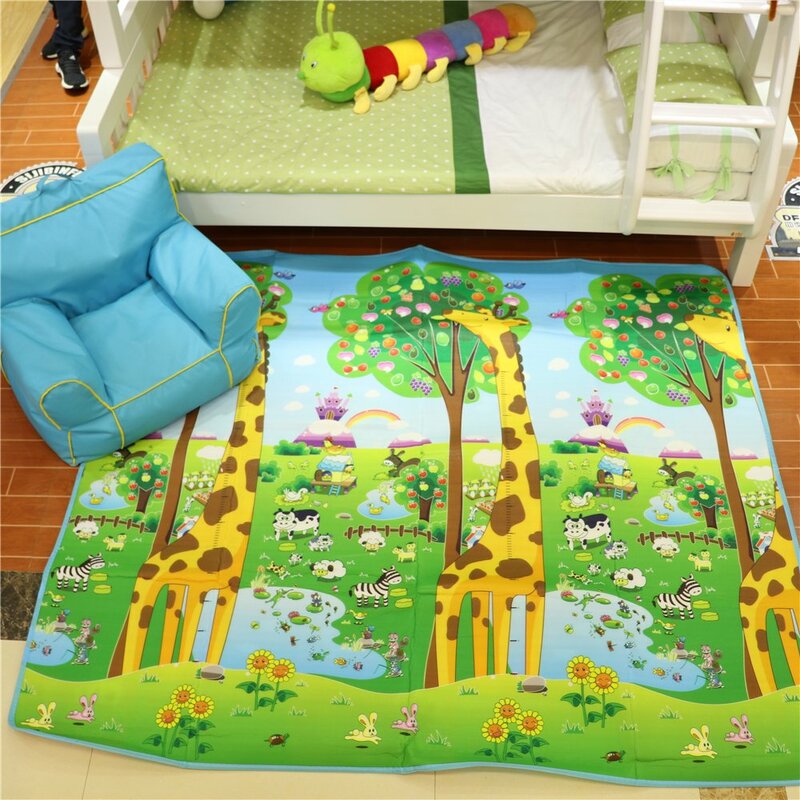 He can Crawl on it and we can clean it easily. 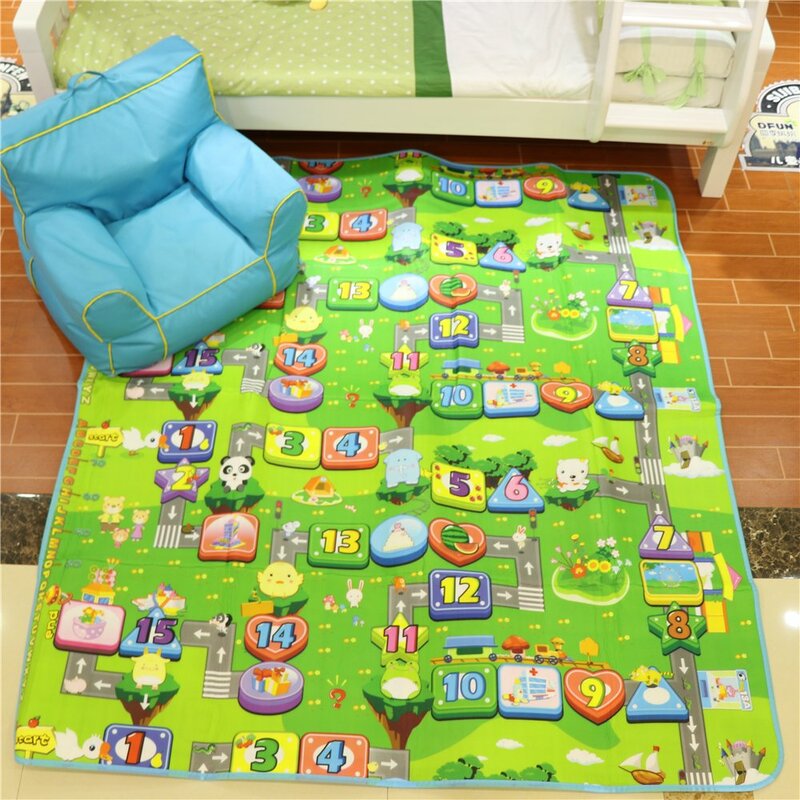 This mat was purchased for my son when he was just a few months old for tummy time at his grandparent's house. 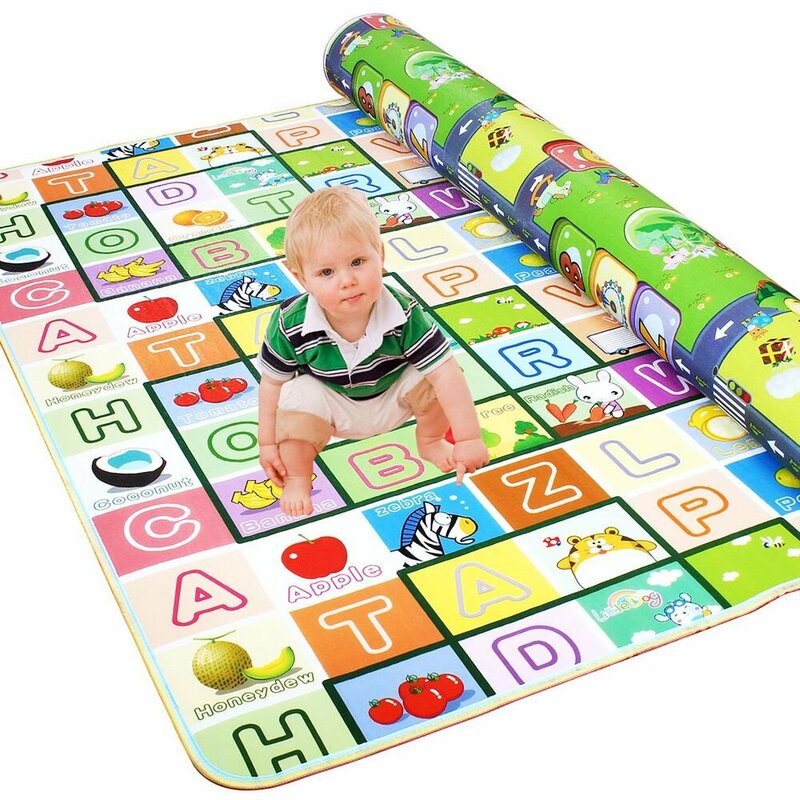 This mat is huge and it definitely makes tummy time much more comfortable for him. 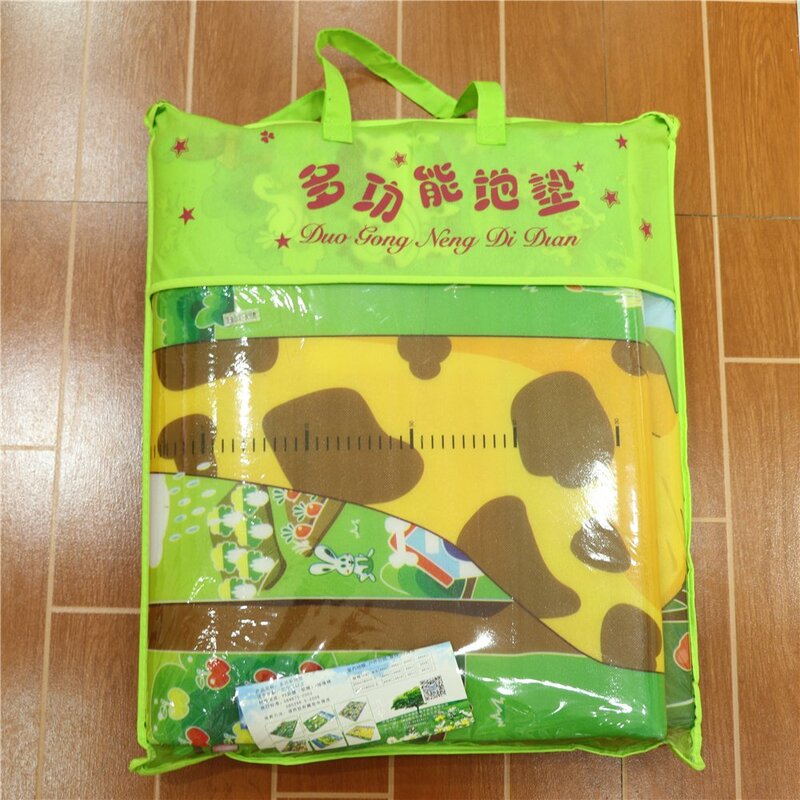 It is nice and padded and I like that it folds easily and is easy to clean. My son has reflux and it is super easy to wipe up his frequent spit ups. The only downside I could see is that it might be difficult to get the creases from it being folded out if you wanted to lay it flat. It is not a problem for us though. 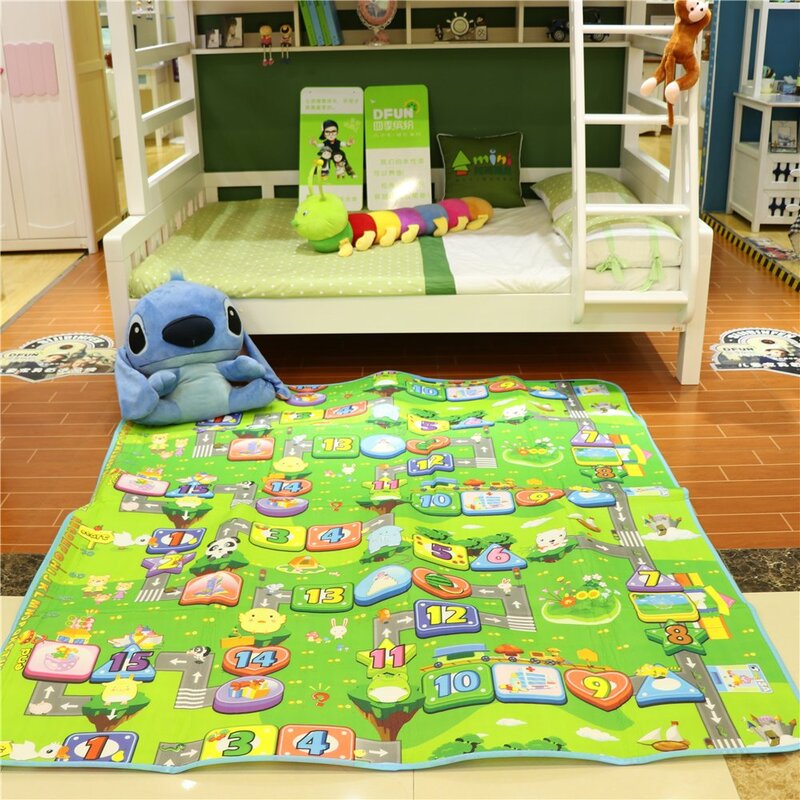 My baby loves this floor mat . 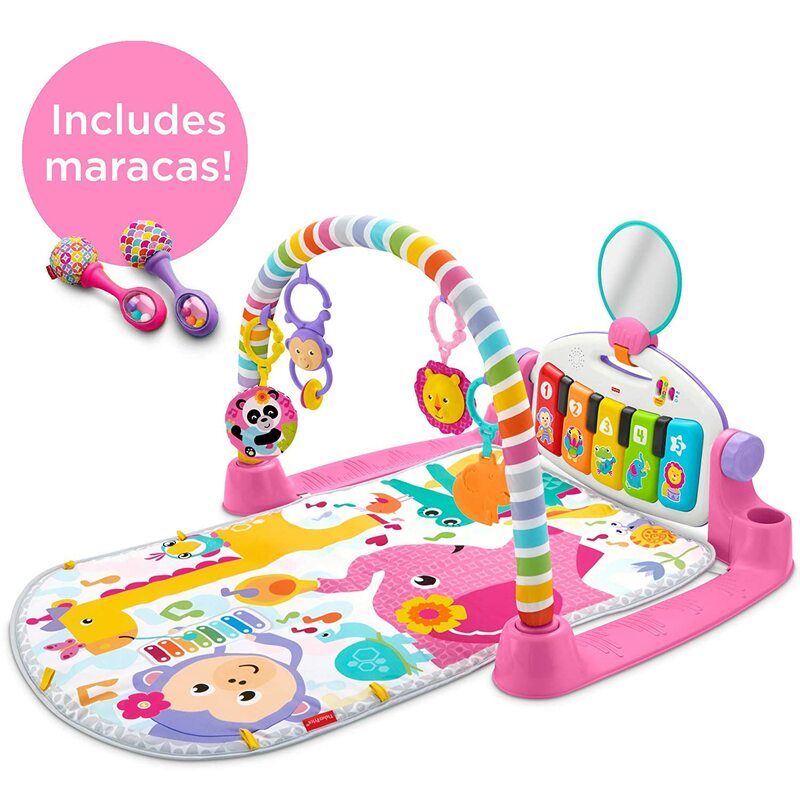 She is7 months and enjoys her floor time on her mat with all the colors and the cushion is great! She has plenty of room to roll , scoot and crawl on it . 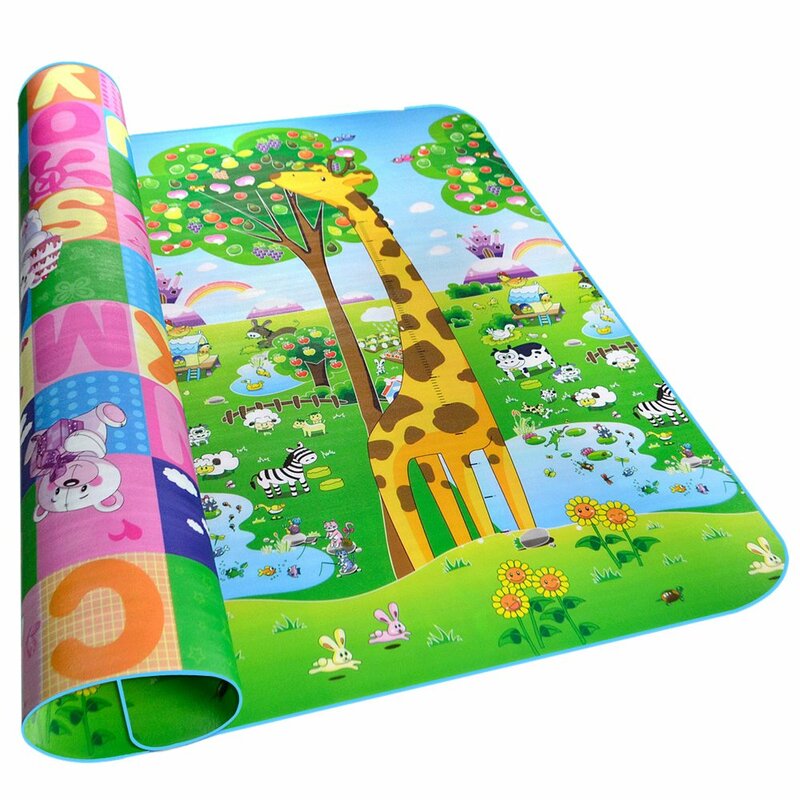 Love these mats.. they are colorful, cheerful and my daycare children just love them!! I'm going to order more..